The Navy is working on adding a number of anti-surface weapons to an unmanned surface vehicle that so far has been used as a passive platform for mine countermeasures. According to a Tuesday statement from Textron, Naval Sea Systems Command and the company have entered into a study agreement to weaponize the Common Unmanned Surface Vehicle (CUSV) for a surface warfare role. 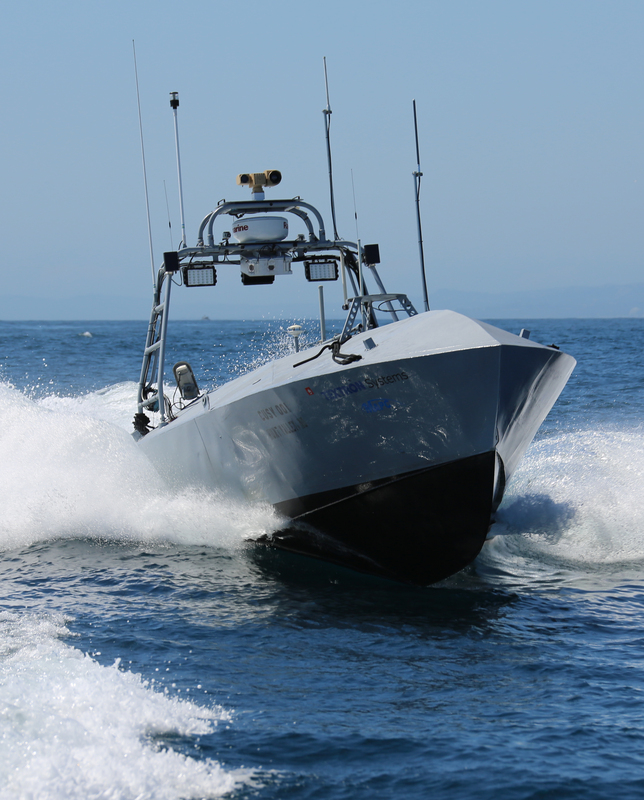 Initially, the CUSV was developed as part of the Littoral Combat Ship’s mine countermeasure package to tow the Unmanned Influence Sweep System (UISS). The UISS is designed to emit signals that would cause influence mines – mines triggered by sound or nearby electromagnetic signatures – to detonate. 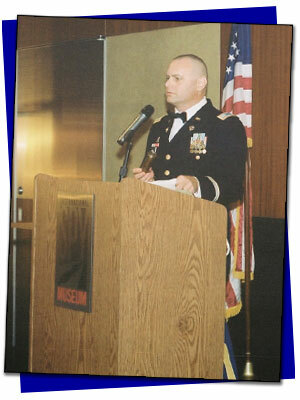 Based on the news release, it’s unclear the types of weapons the CUSV could field. While some of the larger anti-surface missiles could be too large for the USV’s 14-foot-long, 6-foot-wide and 3.5-foot-high payload space, it could act as a forward targeting node for larger ships. It could also field smaller missiles the Navy intends to use for small boat anti-surface warfare like the AGM-114L Longbow Hellfire missile. The service will use a vertically launched Hellfire for its Littoral Combat Ship surface warfare mission package. The CUSV, slightly larger than the service’s 11-meter rigid hull inflatable boats, could also field remotely operated weapon systems like a 30mm autocannon the Navy uses to protect against swarm boat threats in the LCS surface warfare package. While the U.S. has been at the forefront of weaponizing unmanned aerial vehicles, largely through the Air Force’s strike capability in its fleet of General Atomics MQ-1 Predator and MQ-9 Reaper remotely piloted vehicles, Singapore and Israel have been leaders in lethal unmanned surface platforms for port security and force protection missions. 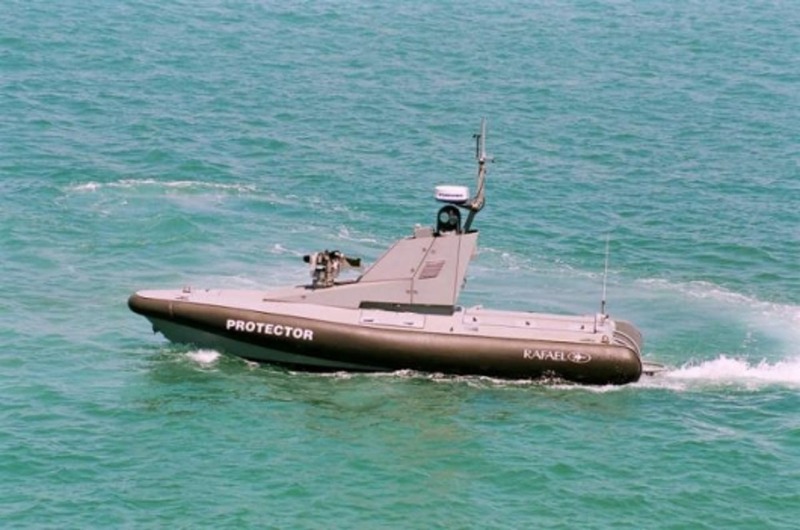 Both countries use the Rafael Protector SV USV – also known as the “Death Shark” – that is equipped with electro-optical and infrared sensors and can field a .50 caliber machine gun, a grenade launcher or a Gatling gun. Singapore has actively used the Protector for patrol missions since 2005. Like Israel, the U.S. could use an armed CUSV for patrol missions in places like the Persian Gulf to supplement the aging fleet of Cyclone-class patrol craft operating in U.S. 5th Fleet. “[Unmanned] makes sense for missions that take an extreme amount of time, manpower intensive and can dull human senses,” Eric Wertheim, author of U.S. Naval Institute’s Combat Fleets, told USNI News on Tuesday.